And will the hole generate a rat? You should plug it ASAP with that weird bubbly stuff that is some kind of polymer and dries solid. Otherwise, you can expect to have whiskered caller/s and I don't mean cute little kitties. 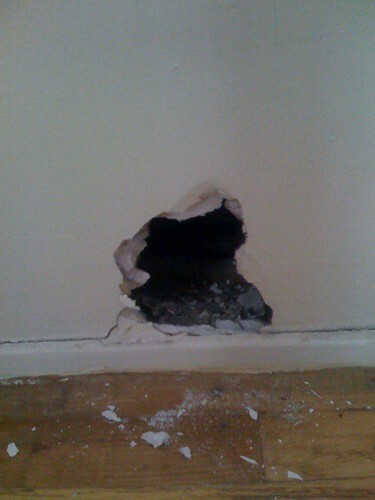 Or more to the point: did a rat generate the hole? It's been known to happen. yeah, seems odd hough that the house sitters wouldn't cop to it. Were they friends?